I always say my customers make the absolute best blog ideas and the best training experiences for the minions. Case in point, one of our very old customers called me today to tell me that their site isn’t ranking any longer and wanted to know why. Now they on and off had employed us to do SEO, at least two tours of duty on this site. I think the last time we touched the site was maybe in 2011. And we all know how much time had passed and how rapidly Google continues to evolve. As I like to say, SEO is no longer a stand-alone event. And, I really don’t think you can do ‘just’ SEO any more. The proper term is Digital Marketing. I will keep saying it. But for someone calling on the phone to look at a site that hasn’t been properly maintained in about half a decade, how do you encapsulate that? So I put together a list that may offer some solutions. Understand that this is written for a site that used to rank but doesn’t any longer, so it assumes there is proper title tags. Well, of course, you had to know this was going to be my first item. But, it’s not sufficient to just say add content any more to a website. It has to actually be good content, written properly, and not just keyword focused. I know many of my old timers heard about keywords and adding keywords. And, why keywords are important, but I’ve had to adjust that over time. Just like the writing you see here. I dare to say none of it has been keyword oriented, but more thematic and helpful. To my mind, this is how you pick up links properly. It also is a great way to build engagement and get people clicking on your site. Yes, this may be a little of an odd thing to put on this list, but you would be surprised how long-time site owners still do not have Google Analytics on their website. The old log file readers like AWStat and Webalizer just don’t go far enough anymore to make a reasonable guess at what really is happening with your website. If someone asked me now, I would not say I was overly concerned with the pure number of visits, and I’m more concerned with how those folks got there and what is the intent of the user. Am I meeting the needs of the user, and are they doing what I want them to do, like buying or contacting me? I can’t adjust pages people are landing on if I don’t understand. And if I don’t have my conversions set up, I’m not able to track the success or deficiencies of my website. Overall I don’t see how it would be conceivably possible to run a website without Google Analytics at this point in time. I know, another very odd duck to see on a list, but if you don’t keep up with the security of your website, you may just find out that people are exploiting it. That can happen from various directions, but it’s incumbent on the customer, not the web host to patch WordPress installs. I can’t tell you how many times people call me to tell me their website isn’t working, and it’s because they have not patched a plugin or WordPress core. Lots of bad things happen when you don’t keep your site up to date. And that just doesn’t go for WordPress. Magento has a bad record, and Joomla, we tell people yes we will host it, but you are on your own because of how insecure it is. The problem with not monitoring or maintaining your website properly is that as things happen to it that you are unaware of, the site becomes damaged. Just like house neglect is never a good thing. Why they changed the name has yet to be made apparent, but if you do not have a webmaster tools account set up, set it up. It tells you all sorts of neat stuff about your website, so when you’re wondering why it is not ranking, it will help you understand if the site is hacked, or if the site has bad quality because 404s are not handled right. Often it can help you find improper use of 301s and 302s. Frankly 302s are devastating and should NEVER be used, and someday I will address that too. It also will help you make a list of links and then allow you the opportunity disavow bad links (which is the next topic). Also, make sure you set up proper sitemaps in WMT. Not keeping up with your once-ranking website also may be caused by bad links. We now live in a world where links can hurt you just as much as they can help you. Here we audit our sites constantly to unearth bad sites linking to us. It’s not easy, however, it needs to be at least checked. If you see a bunch of Chinese sites linking to you and you have no business in China, it’s a safe bet there is an issue with either bad link building, bad webmaster or neglect. Yes, bad or incompetent webmasters can really screw up a site. As I was talking to the minions on this topic, Christina minion said to me this is why you tell us ‘know who you’re getting into bed with.’ Yes, that is the exact reason that you don’t just trust your website to anyone. Understanding how to run a website and understanding how to care for a ranking website is often an art form. Unless your webmaster has extensive tech skills and understands how to structure and work on a ranking site, they can do a lot of damage. I admit this is one of those things that rub me the wrong way. If you don’t think our company is the right company for you, we are fine with that, but more times than not I have the new, less qualified and often cheaper webmaster standing on my doorstep asking me how to perform the job they were hired to do. If you find yourself in that position, it probably means you have the wrong person for the job. Bad web designers are very hard to spot. But they are lethal to a website. So this person that called me yesterday asking why her site wasn’t ranking anymore, and telling me how she hired a PR Firm to do her content also hasn’t posted one single item since 2014. For the seasoned Digital Marketing pro, you may have rolled your eyes. For the rest of you, social media is imperative, and far too often social is not done properly or overlooked. I admit that I’m not a social person. I could sit in a house by myself for hours and read or play video games and not interact with another human and be perfectly happy. But when it comes to the health of my website, what I know is that I can no longer ignore social media, and I’ve been really pushing Twitter in my Houston SEO classes. Yes, I typed that right. In fact, I have a 2-hour seminar next week that explains how to do social properly. Gratuitously, you can see our class schedule here. Yeah, so this has now changed. 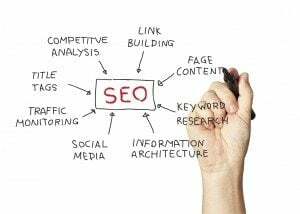 Blogging for SEO used to be way different, but now, to have a sustainable site, it is not possible to avoid this or not do it right any longer. One blog every 6 months really isn’t going to cut it, but neither are BS blogs that just reiterate a keyword, which is how we used to teach blogging. Now blogging must be real. Blogging must be authentic, and it must be relevant. I used to prescribe to a short and punchy blog, but now, if you have something to say, say it. For example, this post is at 1336 words right this second. It is not set in stone, and there are some time considerations with this post, so it’s not an article. It’s also got my opinion throughout it. When I teach I often say the blog is like the op-ed page of the newspaper or your website. It lets your readers see how you think and how knowledgeable you are. You know those bad web designers, they could never have a blog like this, one reason is because they don’t know enough. One last reason to have issues is not to have a modern web design. Old date websites telegraph bad things to your end users. This will lower your engagement and really stop people from doing business with you. Millenials are particularly suseptible to this. So, 1518 word story short, if you are not actively working on your website daily, or at minimum weekly; if you are not doing the things outlined here in their totality and every facet then you are at a severe deficit, and if your site ranks it’s probably a fluke or a niche in the modern age. So I started out today like any other normal day. Got up, looked over our sites. I talked to a few customers. Had a meeting over our new logo and then logged into webmaster tools. Eh or should I say Search Console. I went to one of my favorite places to identify issues with a website, Content Keyword. And the one for this site let me know that everything we well with the site. Google understands what my site is about, thankfully. But what do you do when it’s not as clear-cut as this one. And how do you diagnose and fixed those issues? I found one of our sites though that didn’t look as nice and neat as this one does which prompted me to lift the hood and start seeking what possible causes are. Google amasses this information based on what you tell it about your site is about. Create 1000, pages that say Sorry No Blah Blah x 3, the word Sorry ends up being on your list of Keywords and what Google thinks your website is about. So how do you find the causes of some of this? We started to click through the front side of the website to try and find where the issues are hiding. But it’s amazing to me what happens when you strip all the paint off a website and see what it looks like Naked. So the next thing we did was to open firefox to see what our website looked like. Firefox provides a great tool, as simple and retro as it may be to look at a site and see what it looks like in its rawest form. Simply download Firefox. And then go to the view menu and pick page style and turn off all the style on the website. This gives you a very different viewpoint as to what the website will look like. 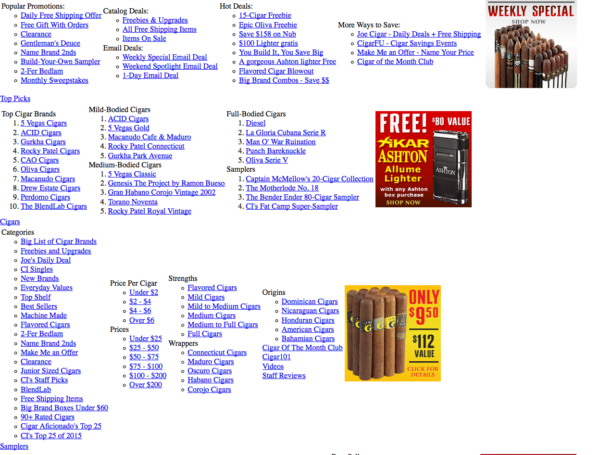 Now for my discussion I’m going to use Cigars International as my test site, mostly because it does so much correctly and having the style sheets off on the site only reinforces that. So here is their site with the markup turned on, and the markup turned off. Yes the writing is tiny, and if you want to expand this, please do this yourself, but here is the take way. They constructed the navigation of the website to reinforce that they sell cigars and that they are the expert in cigars. They put the word Cigar at the end of every brand they sell. They set up their tabs up so they could make huge submenus and that there could be huge reinforced navigation. And set this up in a non-spammy way. Now how I know they did this correctly is because of the terms they rank on. 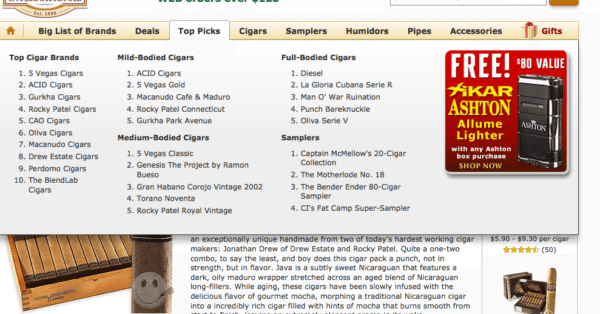 They rank #1 on Cigars, and all of their internal links keep Googles attention on that. When they decide to deviate from that topic they do so by maintaining a clear, consistent navigation that keeps reinforcing the term cigars regardless of where the end user clicks. Because CI has done an excellent job in creating their site, and reinforcing what they do they can add other things and make it work for them. The navigation is intuitive and reinforces the overall objective. I am a firm believer of picking the biggest guy in the pile and then working to beat them. So yes just like it’s my life goal to beat Godaddy at web hosting some day, for me beating CI is just as much on my radar. Yes, the site is large and yes it does have links, and that’s another one of its strengths, but that doesn’t mean I don’t try to beat them. And for all website owners, one of the quickest fixes you can do is reevaluate your navigation. Bad or screwy navigation, can negatively impact a site. I think of Firefox as a flashlight. Mistakes happen gradually over time. And it becomes a slow drip of things, and it’s not readily apparent. I think over time, website owner fiddle with things and inadvertently cause themselves grief and by simply turning off the stylesheet, it can quickly shine a light on a few issues that might not have been picked up otherwise. Make sure you understand what webmaster tools and the Content Keyword is telling you and make fixes based on fact. The way and the amount of anchor text. Does it reinforce what you do? I keep being told that SEO is voodoo or magic, and really all it is is common sense. Some day in the not too distant future I”m going to write out some of that common sense. But for now, if you sell cigars, please make sure you title your cigars, with the word Cigar in your title, not just Nat Sherman Host and not just random words. 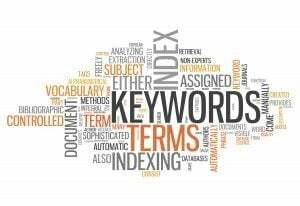 You will havea great content keyword list and Google will completely understand your website. So you know how I’m always telling you that our email box leads to a lot of my greatest inspirations. I had that happen yesterday so I want to share. Its interesting to me how clients perceive what we do for them. Admittedly, we are very much out of the mainstream in that, I don’t just do SEO, or IT support, or Public Relations or Social. Normally you would think not one company can truly do everything well, but after 19 years and basically evolving with the industry, there is very little we can’t do and honestly very little I haven’t seen. We learned because of necessity. So I get this email yesterday from an independent consultant that wants to talk to me about one of our clients websites. Its a solid local website that is ranking on about 3500 keywords according to Google. The site ranked in the top 3 or the 3-6-8 pack on the majority of the industry money terms. What i found intriguing about the entire thing is that the consultant, although a ‘digital marketing expert’ devised a bunch of ah-ha gotcha-type questions that were not even the right questions to ask if you truly understood Digital Marketing and how it related to this website. The issue is that most customers even know when they have a real problem or a perceived problem. So enter a ‘smart’ consultant that is going to tell you all the things wrong. Whats sad to me is that in most cases, they leave the client in far worse shape than when they got there. If a business is not spending 40 hours a month on its website minimum, there are things not being completed. And if the business doesn’t pay your SEO company for that # of hours, then know your always going to be doing less than what is needed for you to succeed. If your a large corporation that will only go up from there. Digital Marketing is as simple and as complicated as you will get what your put into it. IT departments should not Run websites, they should just secure them. SEO is not Dead, its just matured and evolved. Using old information is the best way to hurt your website. If and article is less than a few weeks old assume there is something out there that supersedes it when your talking about how to get rankings. And, if someone sends you an article to back up their opinion assume they don’t know what they are talking about. Beware of someone who wants to send you a report to tell you how bad your website is doing. The only people that get those reports are people that actually can be found. Its a common marketing ploy and usually created in a vacuum for no consideration as to how someone is running their digital marketing program. Beware of anyone that calls on the phone and says they are Google or they can get your ranked on Google Chances are very good they can’t. Beware of the $300 SEO company. There is no such thing. Not even one from India. Well ESPECIALLY one from India. If your SEO says its about meta tags fire them. Don’t assume that because a company runs a news paper they know how to run SEO. They after all run a newspaper and most news papers are going out of business. When you ask how many words you will rank on if the answer is 7 run. There are no guarantees. Run from anyone that promises one. They either don’t know what they are talking about or are a few not so nice terms. I’m sure I can think of a few hundred more of these type things, but for now this is just a starter list. Seems the world is obsessed with size. Every where I go people ask me how long should it be. A good piece of content should be as long as you need it to be. I often used the John Mayer line, say what you need to say. But yesterday I heard a far better explanation. The lady I was meeting with said a piece of content should be like the length of a skirt. Long enough to cover things, but short enough to keep ’em wanting more. And that is the perfect summation. It can be argued that writing content for your website can be one of the hardest things to do, but the most important thing you can do. Now fortunately for me, writing content and having an opinion are perfectly in my wheel house. But I’m always amazed by businesses that tell me they don’t know what to write or to say. Once I get them to open up and start telling me they have world to offer. I think the problem most have is what makes a good piece of content. I often have this discussion with our editorial department. I always try to write with a personality. And I dare to say that anything I write, most people know its me. But once I dispensed with the idea of how long something had to be or stopped being put off that i had to write something so long (as if 500 words is really a long thing), I found my writing started to flow much better. I stopped inserting flowery words just to bolster count and often now I find my self at well over 1,000 words before I even look down and see how many words we have. Also we would try to assign keywords out, and now I find myself more topic oriented, meaning what do I want to talk about. This article for example has literally no keyword value to it. Its a conceptual post that talks more about how to create content and how long content should be rather than using a word like content marketing and focusing on it. I do think the move away from a pat 500 word model was a good move to make. It allows pages to be better developed. This article and page will be sort of short because I’ve basically said all i need to say on this subject. Other than Say what you need to say. If you do it right, your page will have value and your readers will appreciate you! What is the Different between a Web Designer and a Web Developer? Although web designer and web developer are often used interchangeable, they couldn’t be more different than an apple and a banana. Sure, both involved setting up a website but that is where the similarities stop. Web Designers are more artistic and graphical, where web developers are the programmers that make the web work. Initially everyone who could operate a website, was a web designer. Heck our company name started as Acreative Touch Web Design (ACTWD). There were easy to use software like FrontPage or you could simply write a little HTML code and that was that. But as time has gone on and the internet is more sophisticated, these rudimentary methods have transformed themselves in one of two ways. The web designer has become a graphic artists, and is exactly what the name implies. They are involved in the pretty. They help develop the brand and feed the development group to make sure that the website has a wow factor to it. The other type of web designer is someone with a computer that knows how to use Dreamweaver or can manipulate WordPress to some degree and build a website. Those people are also called web designers. They are often cheaper and normally work with small business owners setting up a website, For someone looking for a brochure website, these type web designers are okay. But for someone who wants effective vehicle to market their business they probably need to make a different decision. Really option one is the first step in having a website built. But sadly most small business and inexperienced business owners pick option two not understanding the scope of the job. Then they bemoan the quality, functionally or effectiveness of their website. We work with a lot of web designers though our web hosting company and we appreciate the job they do. 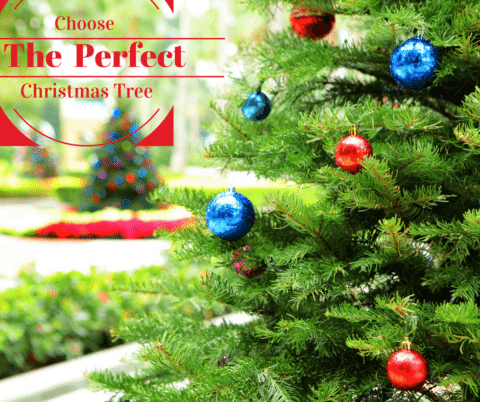 For the most part, their customers only need the brochure type website with no expectation for the website to rank. So what exactly is a web developer? This is what most businesses actually need. Sure it costs more but these folks write the code that makes the web run. Every time you place an order on Amazon or push the link button on FaceBook, a web developer wrote that. These folks should not be confused with a computer programmer, that’s Bill Gates or maybe Linus Torvalds. Web Developers program websites. They set up the technical interactions that a website needs to interact with Google properly. They understand that you don’t just take down all the pages on an existing website. Moreover those pages need to be redirected. Web designers and web developers are two different jobs but they should work together. When planning a website its always advisable t first work with a designer to get the blueprint for the developer. Then move to a developer. It is common for larger firms to have both of these disciplines in house but it is incumbent on the business owner to find out if that is the case by asking the questions. Who is your biggest client? How many sites do you simultaneously work on? These few basic questions should start to help clarify the picture what the scope of the job is and who to hire. But most of all this should highlight the fact that there is a world of difference between a web designer and a web developer. What is the ROI on social media? Everywhere I go I hear this questions. It’s from perspective clients. It’s from speakers at Chamber for Commerce meetings. It’s from ‘internet experts.’ So What is the ROI on social media. My personal opinion is that it is not the right questions and the superficial answer in most cases is $0. Its about the brand and community you can build first and foremost. 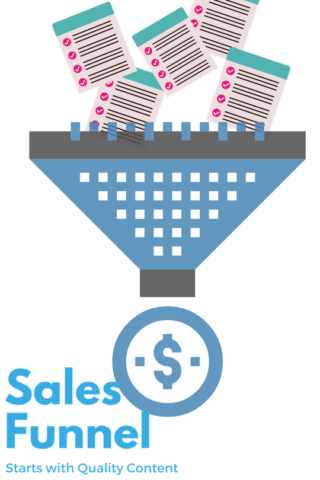 Leading with ROI sets the project up for failure. Its somewhat an old school world way to gauge this. The first issue I see is there are a lot of people that have no idea how to do social media correctly. There are few prevailing reasons why this is. Most companies know they have to have a social media presence but cannot see how to make that fit their particular business. This seems to be a common theme. Engineering firms seem to be particularly problematic. But what about a doctors office. Or a dentist. Or a Cigar Shop conversely has a much easier path because of the built in community. My pet peeve is when companies hire 20 somethings and feel they are an expert. Now in some cases, they may be however, when I see a kitten bemoaning work or cute animal pictures with quippy sayings or obscure hashtags that are ineffective, it becomes fairly clear that the level of social media panache. Stopping and starting is also a huge issue. I see so many people start ‘doing’ social and then stop. Just like in a business, you have to consistently participate. I know that there are many things business owners need to do but your almost better not to do anything rather than running your social media campaign like a Katy Perry song. Treating Social as a one trick pony is also bad. I had someone tell me today the his entire marketing strategy to tell people what he does is social media. He’s not doing SEO. He’s not doing SEM. He’s not doing any branding. Stop telling people to buy your product. Ever see the annoying guy on TV that says buy my product. That is the quickest path to have someone unfollow you and defeat the purpose of a building an audience. So why should you have a social media plan. The one thing I try to impress on my students is that social is part of the the entire digital marketing strategy. So as I write this blog, it is a prime example of how this should work. This post will go out on social channels and if you as the reader deem it as a good piece you will share it on your social media. 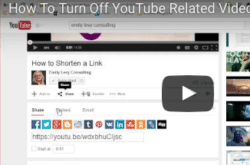 This will send signals to Google that the content of this article is worthy to be shared. As a result they will reward my site. I often tell the story of when I asked my business partner two write me a page about schema. Well at the time we were one of the first to be talking about this so we picked up multiple shares on the page and we picked up links from multiple websites legitimately. This is how things should work. A link from a highly prestigious website has quantifiable value, but if i want to rank on a highly competitive term and that link is helping supporting that term. The what is the ROI. Most businesses need to focus on building community and creating signals to support their marketing efforts. Yet very few know that because these elements are presented in a vacuum. Social is one function. 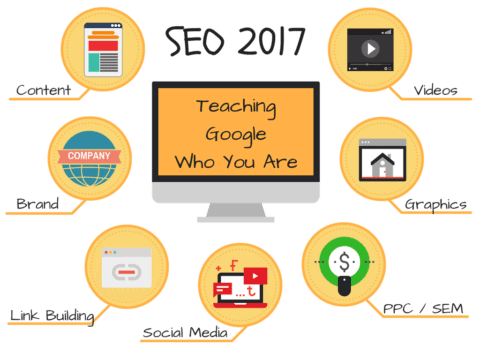 SEO is another and Branding a third discipline and that is no longer the case. Each one of these elements need to be present for the digital marketing arm of the business to be successful. 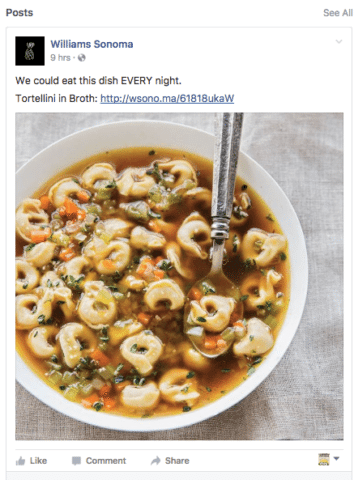 One company that runs their social media perfectly is Williams-Sonoma. Their posts provide multiple paths for community building. They understand the brilliance for marketers that social media is. The people that like you give you a path for you to communicate with them at will and they don’t betray the trust always providing useful information that has products appended to it as an after thought. If you want an ROI this is where that sits. If your a service the way to come up with the measurable value of Social is harder, however if you have any spend on web marketing, social must be done right for all aspects to work right. In other words, build a community. Make It Personal: SEO Now Demands It! This past week I tackled a very uncomfortable topic in class. In this day and age of putting personal information and self-agrandizement on social media, it seems that people are still unable to tell people how great they are or why their service or product is the best. Small business owners are a funny breed. They have the moxie to create the business. And, they have the moxie to do everything from being the CEO to the Janitor. There is no task to big or too small. But when it comes to running a website this seems to be overlooked. In a room of 30 people I had 3 willing to put themselves out there. But here is why you need to. In this age of being holistic in our approach to getting a web site to rank, one thing you have to have is credibility. And the next question is how do you build creditably? Each of us are experts on our business but what do we do on our websites that demonstrates that. More often than not I have people that are going to explain to me how they just want a 5 page website. It’s not until I start asking them questions about their business that the start to understand that for the website to work right, they have to have more than 5 pages. 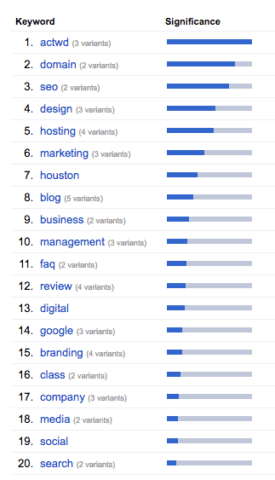 And it’s not just a reason of ranking on Google. Customers do not have confidence in the product or service with a sparsely populated site. Often searchers assess a business or product on the information they can find or the reviews about that product. If you don’t provide that information, more often than not they will move to the next site that does provide the information. I have found the more I have blogged the higher our sales are. Why, because I have an awesome staff that answers questions, but when you come to our website you understand we are a wealth of knowledge and that there are very few things we can’t do when it comes to building, running programming promoting or hosting a website. In a nutshell our personalized approach instills confidence in our customers and in turn Google. Do you approach your business or site in that way. If not its probably time to start considering building a much more personal version of your website or your brand. 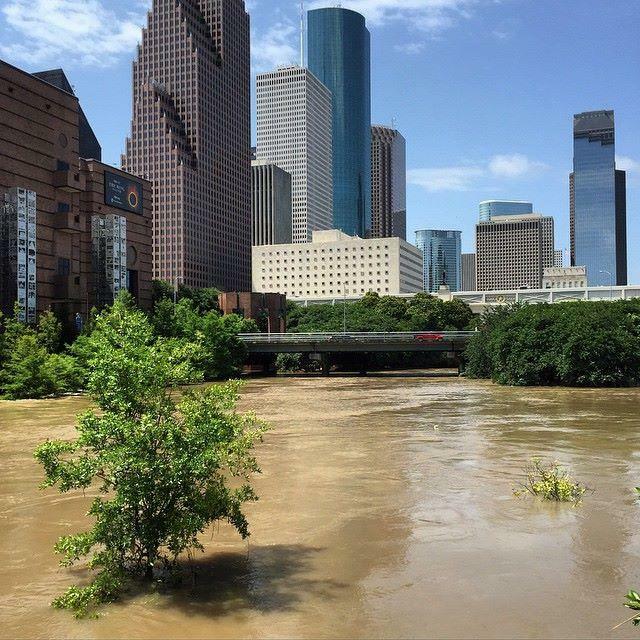 Houston we have a washout and Some Upcoming Events. A little cheesy but I always wanted to say that. As most of you know i live in the lost city of Houstontis, twin sister of Atlantis. And as you know tomorrow is class day. As you can see the city is flooded. Sort of surreal with the blue skys and overflowing Bayous. Even though the Internet Marketing Clinic scheduled for tomorrow night @ the SBDC on Fannin has been canceled, we are still at go @ Houston West Chamber of Commerce. Our lunch class tomorrow will be a class on Keywords and how to better identify them as well as how to formulate content around them. Also in June I’m thinking of giving a class on WordPress plug ins that should be used when working on your website for marketing. We do a lot of wordpress hosting and at this point we are really the experts in how to make a wordpress site work for all aspects of Digital marketing including Social. With that said, enough of you have asked me what you needed to do so I though it may make a good class topic. I hate to do it in June..this years is flying by though and I don’t want to put it off until next January. Anyway just some thoughts in my head. It’s a great opportunity to learn about wordpress, what plug ins are good to have and how us it to handle some of whats needed to survive in todays digital marketing world. In other news Terry Bryant and the Houston West Chamber of Commerce is sponsoring a blood drive on Thursday @ Mr. Bryant’s office. We are encouraging all our local Houston Clients and Friends to come find us there after 10 am. We hope to see a bunch of you out there. I was reading about Blue Bell this morning. Anyone from Texas knows how loyal and even somewhat territorial we are about Blue Bell Ice Cream, but the article went on to ask if it really was superior ice cream or was it superior marketing and the case was made that it was superior marketing. Folksy, downhome, made in the Brenham, (Houston or Austin Suburb depending on who you ask), homemade vanilla ice cream. I agree its all about marketing. This all got me to thinking. Google has made more tweaks to their algorithms this month that favor quality. I haven’t found anything yet that clearly defines what those tweaks were, after all they just admitted to it last night. But moving towards a certain quality bar is not a bad idea. It used to be that many SEO firms wrote for a mathematical equation and not for what’s best for the end user. Those that have been putting up good pages, have been rewarded. But really it’s a solid marketing strategy to demonstrate to prospective clients that you actually know what you talking about. Gone are the days of the brochure website and just like Bluebell, each business should be carving out a niche for themselves and being an expert. This includes demonstrating that on the website and across all the digital marketing channels. I often hear from clients, that they want simply 10 pages on their website and they are frustrated that we have created so many pages. What they don’t get is that the marketing behind those pages lets their visitors know they are experts in their field. It’s very difficult to convey being the best with so little said. Its hard to create a niche with 10 pages. And it’s hard create a comprehensive digital marketing plan with 10 pages. Content still remains to be the thing that allows businesses to compete in the digital marketing arena. And despite all the discussion about links, if you build good content pages, the links will come, I am a firm believer in that premise. Yes there needs to be more link credit built in from social sites, where as in the old days people had their own pages and would make links and participate in forums, but the advent and diversity of social has changed that landscape some and maybe the algorithms haven’t changed enough. 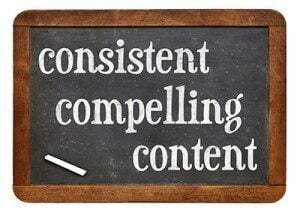 But overall, good content yields good links and should be a major consideration in the marketing plan. So we all can borrow a few lessons from BlueBell and carve out what makes your business unique. Each business regardless the size needs to better define their marketing and understand that its not just about a website or just about a press release or just about a link or best of all, being to small to care about marketing. It is about a coordinated, high-quality effort to form a cohesive and consistent message about your company, otherwise known as your brand.